The quest for faster feed and spindle speeds prompts tooling manufacturers to put the pedal to the metal. Moulders are being built to run at faster speeds than ever before, and developments in tooling are helping them maintain accuracy and quality, tooling manufacturers say. It is part of a general woodworking trend, says Phil Horton, director of product services of Leuco Tooling Systems Inc., Villa Rica, GA. "We see that in routers and edgebanders; we see that in all kinds of machinery. TheyGÃâ¡ÃÂ¿re making it run faster, and we (tooling manufacturers) have to respond by formulating tool designs that will perform at these higher speeds." "Because of competition from our neighbors in the Far East, a lot of people are concentrating on improving production on their moulding machines," says Yves Lemay, technical analyst, Gladu Tools of Marieville, QUE. A couple of years ago, the maximum speed for most moulder spindles was about 6,000 rpm, Lemay says. "Now, there are more and more moulders with 8,000 rpm, and the exceptional moulder with 12,000 rpm," he says. "Most motors on all these machines are getting faster and faster." "I see higher speeds as a trend for production-type moulding houses. The faster you can produce something, the cheaper it's going to be," says Rick Paul, president of Charles G.G. Schmidt & Co. Inc. in Montvale, NJ. It is not just the large-volume shops that are interested in speed, says Kurt Quade, national sales manager for Weinig Group, Mooresville, NC. "The niche of a lot of small guys is fast delivery." challenges. For example, balance becomes more important as rpm is increased, calling for "a tool designed under strict quality guidelines," Horton says. "We're producing tools that have better balance tolerances, have more wings and are more stable to accommodate faster feed speeds," says Gene Veening, president of Royce-Ayr Cutting Tools Inc., Cambridge, ON. "The cutting tool has to rotate faster. We have to provide more cutting edges to customers," says Mike Serwa, vice president of Vortex Tool, Schofield, WI. Typically, the number of cutting edges in a head has ranged from two to six, he says. "Now, we're getting up in the eights and twelves." Woodworkers who want to increase the output of their moulding oerations can do so by using hydraulically clamped tools, says Harry Guensche, manager of applications engineering at FS Tool Corp., Markham, ON. "This method allows for feed speeds of more than 65 feet per minute (sometimes even greater than 400 fpm). Superb surface finishes can be achieved. "When using conventional tooling, production tolerances (of the tools) cause a one-knife surface finish, even when several wings are involved in the cutting process. The hydraulic clamping method eliminates the spindle bore tolerances and reduces the run-out (different cutting circles of all wings involved) to a minimum. "This way, the workload is evenly divided among all the wings of a cutting tool," Guenshe continues. "A lot more knife marks per inch can be found on the workpiece compared to applications with conventional clamping systems. Hydro clamping requires dedicated machinery." When a cutterhead is centered on the spindle hydraulically, "it will run very, very concentric," says Veening of Royce-Ayr. "In order to keep up with the speeds people are requesting, it's a necessity to work with a hydraulic lock system." High-speed operations also benefit from a jointing system on the moulder, says Paul of Charles G.G. Schmidt. "You feed a jointing stone into the cutter as its spindle is turning and it hones the outer edge and brings all the profiles in line to insure that all the knives are cutting. With all the knives cutting, you can run a lot faster and ensure a good finish on the wood." "It doesn't matter how good you make the tool and put it on the machine, there still may be very small tolerance you can't get rid of until you joint it," Veening adds. Increased speed carries an inherent hazard which tooling manufacturers and moulder operators must take into consideration - the centrifugal force that can send a knife flying out of a cutterhead. When planning tooling diameter, Gladu's Lemay says, "We are all governed by the same laws of physics." He says greater rotational speed dictates smaller diameter. He adds, however, that Gladu recently developed an insert clamping system for use on higher rpm spindles allowing a greater diameter at higher speeds. Hydraulic clamping facilitates quick tool changes. Though the feed speed determines the rate that material passes through a moulder, by no means is it the only contributor to a speedier moulding operation. Tooling manufacturers cite quicker profile changes, improved cutting edges, and efficient clamping and jointing systems as other important factors. In making tooling to accommodate Weinig's Unimat 3000's 12,000 rpm, for example, Terry Jacks, senior vice president of Leitz Tooling, says, "We're working with very limited diameters, very high balance tolerances." Jacks says he sees speedier, faster set-up machines as the wave of the future. "If weGÃâ¡ÃÂ¿re going to compete with products coming in from overseas, then manufacturers have to have these more flexible machines," Jacks says. An HSK tool holder is the typical interface between the actual tool and the machine, Guensche says. "The tool holderGÃâ¡ÃÂ¿s clamp system allows for quick changeover of tools to keep machine downtime to a minimum. 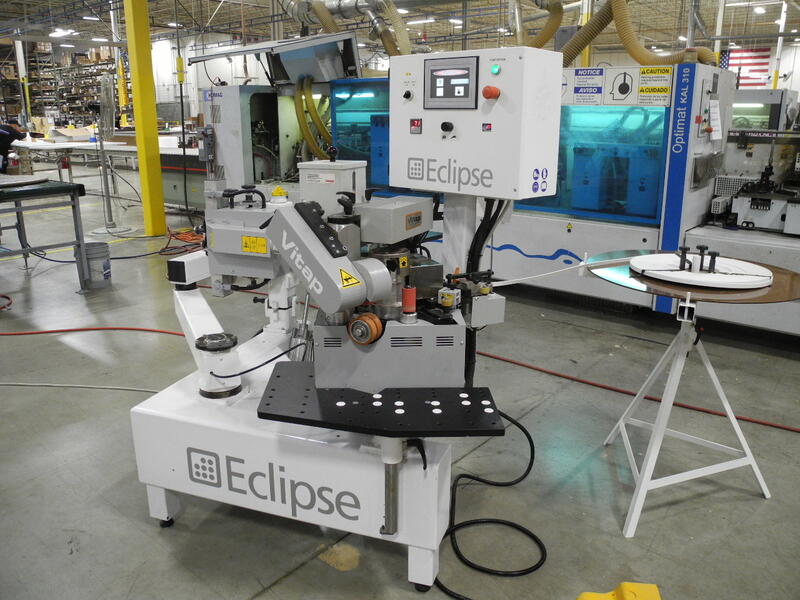 In some cases, tools that will be used can be stored in a tool changer, and with the help of user-friendly CNC programming, individual tools can be picked up and connected to the work spindle, very similar to CNC routers," Guensche says. "This individual data of the tools, like cutting diameter, rpm, left-hand or right-hand rotation and so on, can be stored in the program," Guensche says. "The use of HSK tool holders allows for very fast and accurate tool changes." The reduction of downtime during setup has increased flexibility for woodworking shops and decreased inventory for customers, Quade says. "What that did is open the market up." Ever since manufacturers began adopting just-in-time concepts, Quade says, "Nobody wants to have inventory." To illustrate his point, Quade says 25 years ago, a company might run 100,000 lineal feet of a profile intended to last the customer 30 days, with setup taking an hour or more. Now, a shop will run 25,000 feet every week. More setups are involved, but "each one is only 5 minutes," he says. In past years, if a contractor got near the end of a job and needed an 8-foot board, there was no way a shop could bear the expense of setting up for it, he adds. "Now you say, GÃâ¡ÃÂ¿It's only going to take me 5 minutes, what do I care?'" One of the most frequently mentioned timesavers by manufacturers interviewed is the axial constant system, which helps ensure that all moulding starts in the same location in the machine. It assumes a fixed space of 10mm between the right-hand edge of the moulding and the positioning fence. The cutterhead for that location is positioned to allow for that space, and knives are machined accordingly. The other heads are aligned according to the first one, and when the machine is ready to go, very little adjustment of heads is needed. If an arbor is vertical, a radial constant is used. When new knives are ground or a cutterhead is changed, the new tooling retains the same space allowance. "You're grinding knives so you know exactly where the wood is hitting the knives every time," Paul says. It is a growing trend, Paul adds. "More and more people are using it." Lemay estimates 40 to 50 percent of shops use the axial/radial constant. For those customers who do not, Lemay says, "We'll push the idea. We'll help them figure it out. Even though the wood changes and the profile changes, when we interchange the heads in the machine, they are at the right place for the new profile." Whether tooling is produced in-house or bought, Quade advises, "Make sure it's ground accurately and measured accurately. That way you can take advantage of the setting on your moulder that has readouts." The measurement of tooling diameter, including the head and the cutting edge, can be entered in the moulder either mechanically or electronically, depending on the sophistication of the equipment. A read-out on the machine tells when the spindle is positioned correctly. In computerized models, the information is stored in a computer when the tooling is machined, and then becomes available to the moulder operator whenever he sets up the machine. Longer-lasting cutting edges are being achieved in steel, carbide and diamond, tool manufacturers say. These developments also play a role in reducing downtime. In the case of HSS (high-speed steel), which is sharpened more frequently than carbide or diamonds, coatings are available to promote longer wear. In carbide, new grades are being developed for specific purposes, and in diamond, better materials and design are resulting in more impact-resistant tooling. Carbide and diamond are generally the material of choice for cutting most man-made materials, including MDF for mouldings. Because of its glues and resins, Horton says, "MDF is much harder on tooling than solid wood. It dulls tooling more quickly and these types of materials require a very keen edge." Gary Nicely, president of St. Louis-based Hot Knives, which specializes in pre-cut, pre-profiled corrugated knives that require only a light finish grind, says, "A lot of companies are running whatever moulding jobs their customer brings them. That pretty much will dictate the kind of tooling they run - HSS for most natural wood species, or carbide for some of the tougher species like hard maple and some of the exotics, and composite materials like MDF and Azek PVC. High-speed steel will not perform well in many composite applications," Nicely adds. 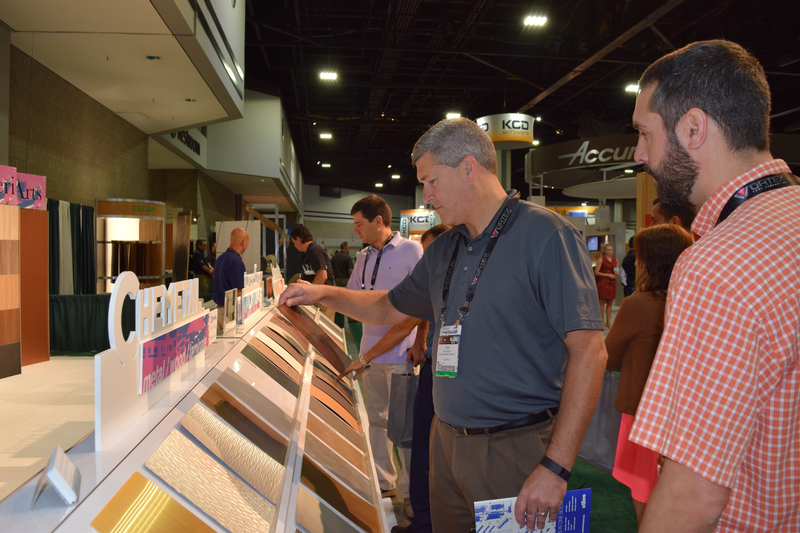 "There's a lot of movement toward particleboard and MDF for construction of window and door components," says Serwa of Vortex. "They require some different types of tooling and different options for people." According to Jacks of Leitz Tooling, the MDF and composites being used by the moulding industry are diverse in their composition, which presents challenges for tooling makers. He says the use of different glues and varying size of contaminants, like sand grains, impact tool wear. "That's why we're continually developing new grades of carbide," he says. "We have seen a lot more abrasive resistance in carbide grades come into the market the last couple of years for insert-type tooling systems, which has been a tremendous increase in value to the customer," Jacks says. "We've also seen a lot more diamond tooling used in solid wood applications. Five years ago,diamond would not have been considered for flooring, but due to improved accuracy, it's being used in both solid wood floors and engineered wood floors." Diamond tooling was not commonly used in cabinet doors in the past, says Lemay. "It's being used more and more. The price of the tool itself has come down; the quality of the diamond has gotten better - more impact-resistant." "Even on solid materials, diamonds have a longevity not equaled by any other cutting material," says Veening of Royce-Ayr. "It holds its edge far longer. "People can run their equipment much longer, without costly downtime, than if they were using carbide, HSS or any other alloy." "The cost used to be somewhat prohibitive," says Marty Neagu, vice president of Saber Diamond Tools of Hilliard, OH. But as prices have come down, Neagu says use of diamond tooling has become "an industry wave, if you will. Diamond tooling has come a long way from where it used to be." "The quality and the matrix of diamonds has grown in such a way, it gives us more to choose from," Neagu says. He adds, "The machinery to machine the diamond is better, and there are better, smarter customers who are demanding more." Once customers realize the benefits of diamonds in one application, he says, "they move it to another application. 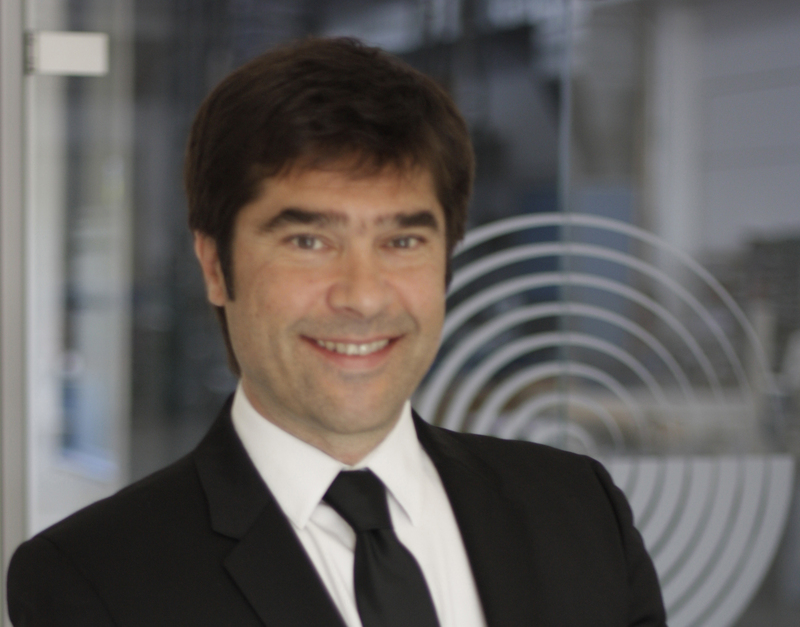 "One thing is universal with carbide and diamonds," Neagu continues. "The customer demands are less forgiving than they used to be." As a result, he says, "The tooling itself is a more exact tool than it used to be." One of the toughest applications around these days was not even heard of several years ago. To meet government standards for fire resistance, some commercial door manufacturers are pouring what Serwa calls "a concrete slurry" or a drywall-type material into the interior, then laminating an outer skin of wood to it. "You have to get pretty creative to come up with things that will cut that," Serwa says. His company attacks the problem with special grades of carbide, he says, "and more importantly, the number of teeth, the orientation of the cutting edges, the tool design and the geometry." In creating the new tooling, Serwa says his company is responding to the same force that is driving all the innovations in moulding operations: customer demand. "This new material's coming out, and they need to cut it," Serwa says, adding that his job is to figure out how.